TL;DR My last day at Mozilla already happened, but I’m still me. I bring together disparate parts to foster learning, spread openness and design for participation. I’m a creative generalist who likes to make stuff, and I’m open to exploring opportunities. 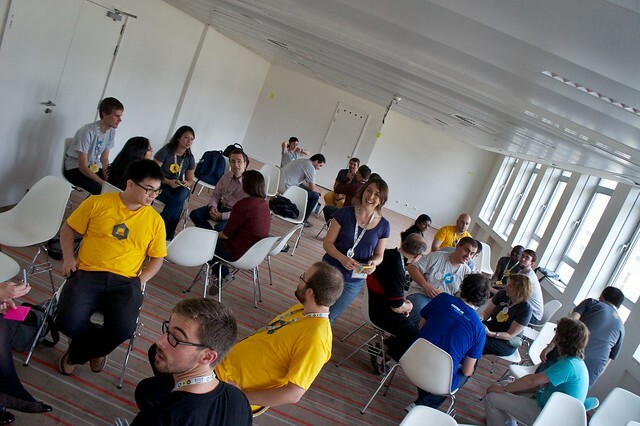 About 5.5 years ago I took a broken dream to the first Mozilla Festival (at the time it was called Drumbeat) in Barcelona. Going to this festival with my struggling project was a last ditch effort, I was hanging on, trying to make it work. Drumbeat was the place that I was finally able to let go, start over, try again. The people I met there gave me new ideas, they introduced me to a way of working that fit with how my brain operates. Drumbeat lit a fire under me. I met Mozillians. I’ve resisted the status quo because when I questioned it, I don’t received satisfactory answers. Over the years, Mozillians taught me how to focus my defiance towards a common good. It’s that focus that has cultivated me and my way of being in the professional space. I believe in open, and I believe that what Mozilla is trying to do for the world is a just cause. Openness can be hard, but in my experience the right thing is always more difficult. Last Monday was my final day as a paid contributor, and I’m in the process of detangling Mozilla from my own identity. We’ve grown up together in this community. We have rallied around a nascent vision and made it something that is resonating throughout the world. I am proud to have contributed to every aspect of the Foundation’s work – from strategy to learning design to prototyping to evangelism to community management to production – I’ve helped Mozilla innovate in the teaching and learning space. Our work has inspired people, and I’ll always be a Mozillian. But I want to be more too. Mozilla is a part of me, but it can no longer define me. I don’t know what’s next for me, and that’s ok. I will continue to think and write and make and learn and fail, and I will continue to embody the open ethos. Even when it’s hard, especially when it’s hard. In the immediate future, I will pause, breathe and take stock. I can literally do anything with the competencies and skills I’ve developed and honed over the years. That feels like a powerful invitation to do the right things. There is a lot of right in the world. 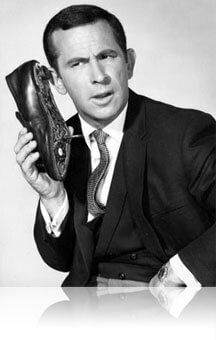 I’m looking for something where I can design learning/engagement opportunities, develop leaders and apply open practices, digital/web literacies and all things geeky. I want to help people/orgs grow, collectively, as they allow me to grow together with them. I want to shift power structures and community dynamics, be a voice for people who need one and just be who I am – defiant, curious, unwavering in the ideals of open. If you think you have a right thing for me, let me know. You all know how to find me. laura [at] this domain is where you started interacting with me in 2010, and it’s where you can continue to do so. You can also find me on twitter or LinkedIn (or just google me, I’m all over the web). I hope some of you reach out – there are plenty of wonderful memories and new ideas to discuss, and I will always be here for my Mozilla friends. Missing context? Catch up with recent posts tagged with "Methods & Theories". 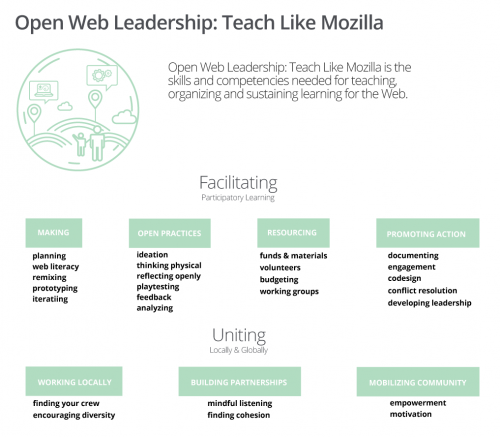 Over the last couple of weeks, we’ve been talking about an organizing structure for future (and current) Teach Like Mozilla content and curriculum. 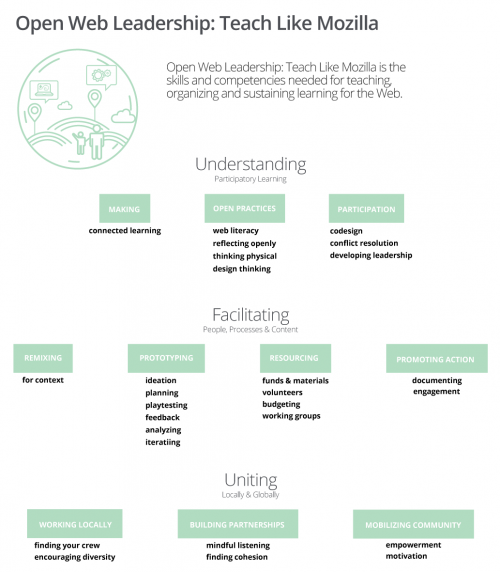 This stream of curriculum is aimed at helping leaders gain the competencies and skills needed for teaching, organizing and sustaining learning for the web. We’ve been short-handing this work “Open Fluency” after I wrote a post about the initial thinking. We decided to change the naming of this work to “Open Web Leadership”, with a caveat that we might find a better name sometime in the future. We discussed leadership in the Mozilla context and took some notes on what we view as “leadership” in our community. We talked about the types of leadership we’ve seen within the community, noted that we’ve seen all sorts, and, in particular, had a lengthy conversation about people confusing management with leadership. We decided that as leaders in the Mozilla Community, we want to be collaborative, effective, supported, compassionate for people’s real life situations. We want to inspire inquiry and exploration and ensure that our community can make independent decisions and take ownership. We want to be welcoming and encouraging, and we are especially interested in making sure that as leaders, we encourage new leaders to come forward, grow and participate. There’s a lot in that statement. Giving ownership and agency to your fellow community members requires open and honest communication, not one time but constantly. No matter how much we SAY it, our actions (or lack of action) color how people view the work (as well as each other). We established a need for short, one line descriptors on each strand, and decided that the competency “Open Thinking” is actually a part of “Open Practices”. We’ll refine and further develop this in future calls! As always, you’re invited to participate. There are tons of thought provoking Github issues you can dive into (coding skills NOT required), and your feedback, advice, ideas and criticisms are all welcome. 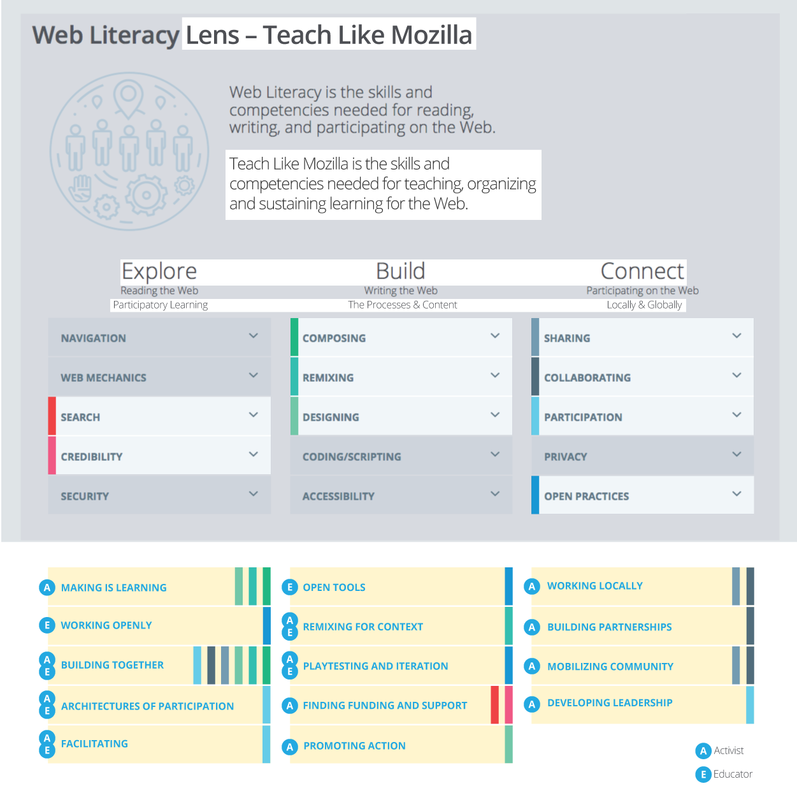 I’ve been thinking about lenses on the Web Literacy Map again. Specifically the “Leadership” component of what we do at Mozilla. In his post, Mark called this piece fuzzy, but I think it will become clearer as we define what “leadership” in the context of Mozilla means, and how we can offer professional development that brings people closer to that definition. What does it mean to be “trained” by Mozilla? Or be part of Mozilla’s educational network? What do the leaders and passionate people in our community have in common? What makes them sustainable? What do we need to cognitively understand? What behaviors do we need to model? How do we unite with one another locally and globally? I have some theories on specific competencies a leader needs to be considered “fluent” in open source and participatory learning. I’ve indicated possibilities in the above graphic. 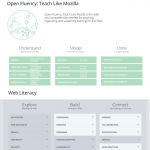 The Web Literacy Map Doug Belshaw and the Mozilla community created is extremely relevant in this work, which is why this post is using the word “fluency” – to indicate the relationship between the map and this lens on it. It feels like leadership in our context requires fluency in specific competencies - the highlighted ones on the web literacy map above. There is a lot of content for professional development around teaching Web Literacy. I’m working on collecting resources for an upcoming conceptual and complete remix of what was Webmaker Training (and before that the original Teach the Web MOOC). 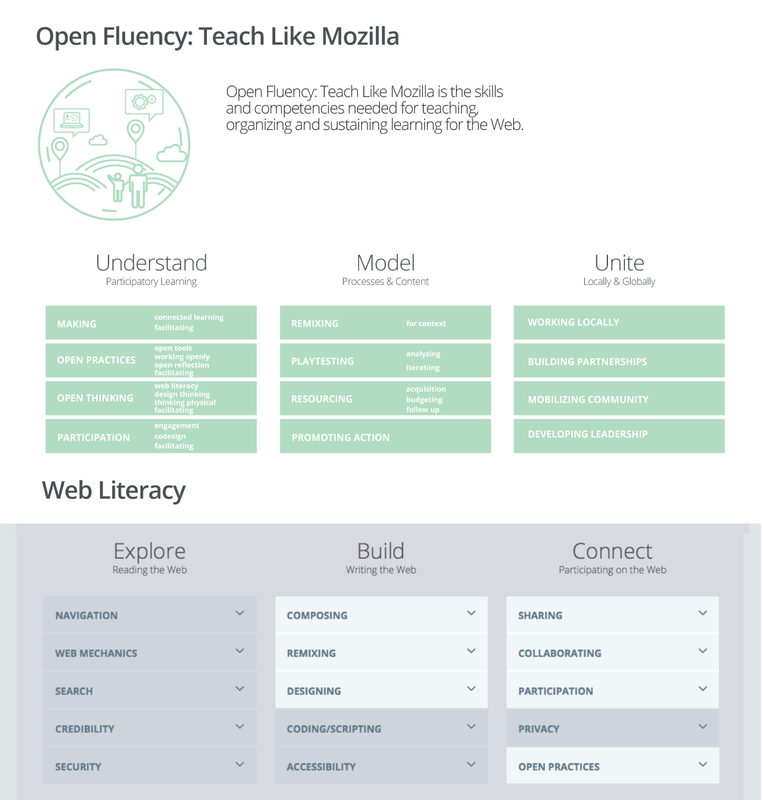 Last week in a team call, we talked about my first attempt to use blunt force in getting the Web Literacy Map to cover skills and competencies I think are part of the “Teach Like Mozilla” offering at Mozilla. I made the below graphic, trying to work out the stuff in my brain (it helps me think when I can SEE things), and I immediately knew I was forcing a square peg into a round hole. I’m including it so you can see the evolution of the thinking behind the above graphic: I’d love to hear thoughts on this approach to placing a lens on the Web Literacy Map. Please ask questions, push back, give feedback to this thinking-in-progress. That is one of the things I am struggling with in #ccourses anyway; what central hub to go to when I get behind and somewhat disoriented. Good thing for me to consider, now that I am considering it, as I hope this exercise helps to sensitize me more to my students who may also feel disoriented at times. When I got quiet, I processed that statement and equated the disorientation with fear of the chaos, the need for order, and I started to reflect on how my understanding of order may be different from other people’s understanding. I think this fear rears it's ugly head when you're learning about technology, and we tend to look at people who "can computer" as being gifted in some way. We think "I could never do that." I’m failing because I am not ordering much of my work in a way that other people can understand. I can’t see where the disconnect is so I’m not sure how to fix it. I think not being able to see is something we struggle with when we're learning about technology, and just like in any other situation it cripples us with frustration. We think "I'm never going to learn this!" I'm failing because I’m not doing well at helping people order their things so that we can link our work together. I think we don't help each other enough. In anything. But that might be another story altogether. I'm failing and it hurts, but at least I’m learning. Now I can push myself to figure out how I have to present things so that people can see the connection, so that they can understand the system. I am not a finisher, but I have to learn how to pull my ideas further. When we're learning, we have to be brave. Learning is chaos, and chaos can be scary, yes, but I think any system can be tamed, ordered, reigned in. I have to learn to order the chaos in my brain better, and be brave enough to keep failing.